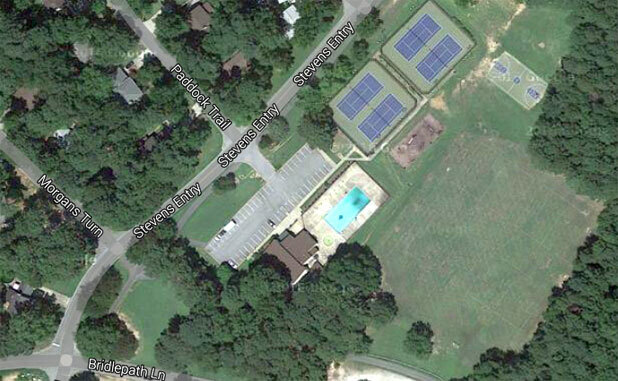 Aerial view of Glenloch Recreation Center. The newest water feature for Peachtree City’s residents will open just in time for summer. The Peachtree City Council Thursday night approved spending just over $467,000 in SPLOST funds to build a new splash pad and renovate the pool at Glenloch. The pad would be adjacent to the current pool. Nearly $217,000 of the funds are going to be for renovating the pool. “Virtually everything at the pool is going to be new, except the hole it’s in,” said City Manager Jon Rorie. City Councilman Phil Prebor was the only council member to vote against the proposal for one main reason. “Why was there only one bid?” he asked. Staff said there were approximately 10 companies at the pre-bid meeting, but only Peachtree City’s Innovative Pool and Spa actually bid on the project. Rorie said the bid was done as one item, so the same company would be doing the pool renovation and building the splash pad. “That way, we only have one cook in the kitchen,” he said. Included in the bid is $99,000 worth of equipment for the splash pad from from local company Aqua Play.